With the housing market in its current state, the sensible householder's mantra should be 'don't move: improve'. With this in mind, we've come up with tips, advice and links to our best features to help you boost your home's value so that staying in put won't just make sense financially, it will be an absolute pleasure. 1. When you're planning and tightening your budget , the last thing you want to do is spend money unnecessarily on your home - so it's worth researching first which home improvements will boost your home's value and which jobs will devalue your house. That way, every cent spent will be spent wisely. 2. An extension could add between 10 and 50 per cent to the value of your home, depending on its size and how well it's finished. The key is to get its proportions just right. So, you've plenty of bedrooms but a tiny kitchen? 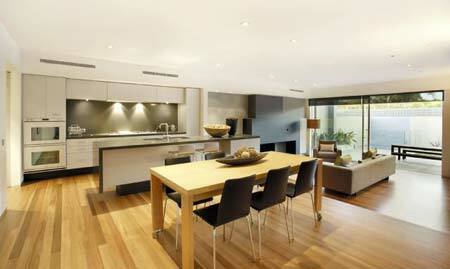 Add on a downstairs extension to create a larger kitchen. Got a huge garden but a small house? 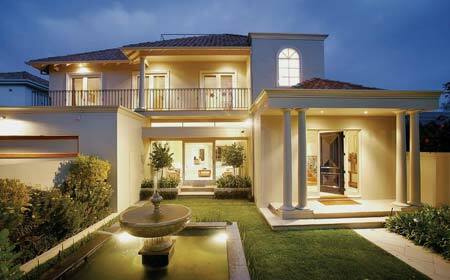 Put on a double storey extension to create the family home of your dreams. A loft conversion could also add up to 10 per cent to the value of your home and, unlike a ground floor extension, it won't steal space from the garden. The ideal? Get a bedroom and extra bathroom up there, if you can. 3. Planning a new kitchen is an absolute must for anyone seriously looking to boost their home's value - it could add up to 10 per cent in value to your home, it's the first thing a potential buyer will look for in the future, and it's also the room you're likely to spend much of your time in, particularly if it is a kitchen and living space all in one. The secret? Pick one that matches the style of your home - so choose a contemporary kitchen for a modern home, or something more traditional for a period property. Replacing your kitchen doors and old appliances with new, good quality appliances will go a long way to giving your kitchen that just-renovated feel, but at a fraction of the cost. Replacing kitchen wall tiles and replacement worktops will instantly smarten up a tatty kitchen, as will new hard flooring throughout. 4. Squeezing in an en suite bathroom could add up to five per cent to the value of your home, assuming you don’t sacrifice a valuable bedroom for it. The best bet is to put one into - or steal space from - a large bedroom. 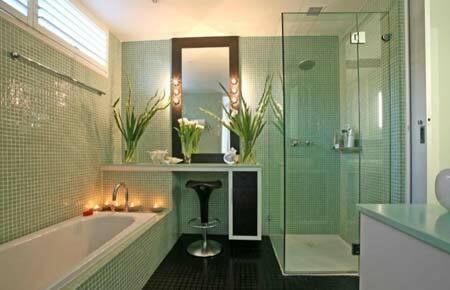 Revamping your bathroom will improve and add to the appeal of your home. You needn’t hire a plumber to do all of the work if you’re a competent DIY enthusiast – fitting a new sink isn’t as hard as you’d think, while re-tiling the walls and floor, grouting and sealing around a basin or bath is easy, too. Or, if you’ve got the budget, why not splash out and replan and fit a whole new bathroom? Including good bathroom lighting won’t just make it feel like a home spa - it will make it seem larger, too. 5. 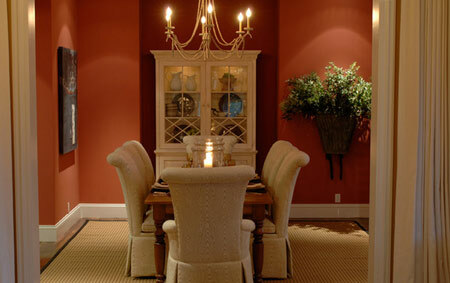 Redecorating is an easy - and not necessarily expensive - way to improve your home. Paint is the cheapest way – and there are lots of easy to live with, space-enhancing colour schemes to choose from. With a little practice (and with the help of some step by step projects), anyone can create their own paint effects in a colour scheme to exactly match their taste. Stencilling is really making a credit crunch comeback, too, because it can create an expensive look at a minimal cost. Or, if painting isn't your greatest skill, how about sticking? Wall stickers cost a fraction of what wallpaper would, but their impact on a room is just as great – and they’re incredibly easy to apply. 6. 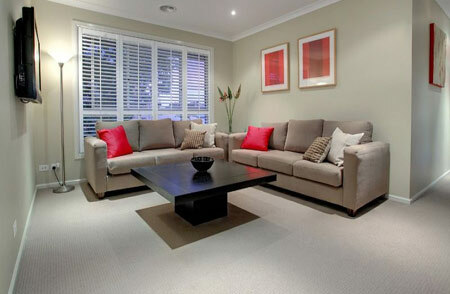 Replacing old, worn or outdated carpets can transform a room instantly. Current carpet trends are for bold colours and patterns, but for a look you won’t tire of, go for something classic, neutral and easy to live with that’s made to last. 7. Dealing with problems your house has while you’re staying put makes real sense – trying to do so in the run up to putting it on the market is likely to be both stressful and more expensive. So, spend time and money now to sort out plumbing problems identify and deal with damp, and restore fittings and fixtures. 8. Find ways to save energy (and therefore money) at home…then use the money you save to spend on more eco friendly improvements. One way is to improve the insulation in your home. You will not only cut your electricity bills – it will also make your home more eco-friendly. And if you're looking to redesign your home to be green - you can do it all by choosing to buy recycled, used or antique furniture over anything newly made. Don’t like the finish? You'll find plenty of projects in the DIY section for painting furniture to give yours a revamp. 9. Turning a neglected plot into a glamorous garden can have a real impact on your home and how you feel about it, let alone adding to its overall value. 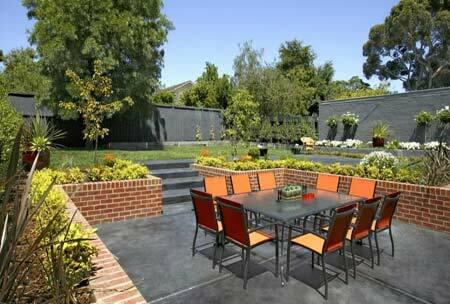 You needn’t spend a fortune – just a few clever ideas and regular maintenance can do the trick. While you’re improving your garden, why not make space for a kitchen garden, like Jamie Oliver? It needn’t be on the same scale – even a window box is enough to start off with. 10. If you have a large garden and want to add a little more indoor space without building an extension, why not consider an outdoor room? These will give you space for anything from a home office to an extra lounging area to somewhere for the kids to play. Of course, you might want to spruce your garden up just by adding a new garden dining set, whether wooden, metal or funky and contemporary. The only effort involved is paying for it.